Ready for an irregular verb? 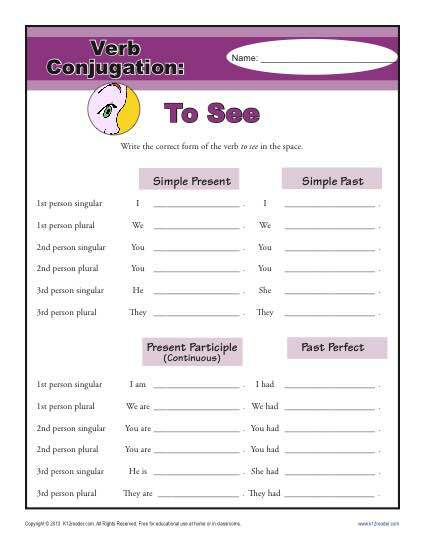 Here’s a worksheet on the verb “to see.” Your student will conjugate the verb in four tenses. Useful for Common Core Standards for Language for 2nd through 5th grades, it is helpful for other students as well.